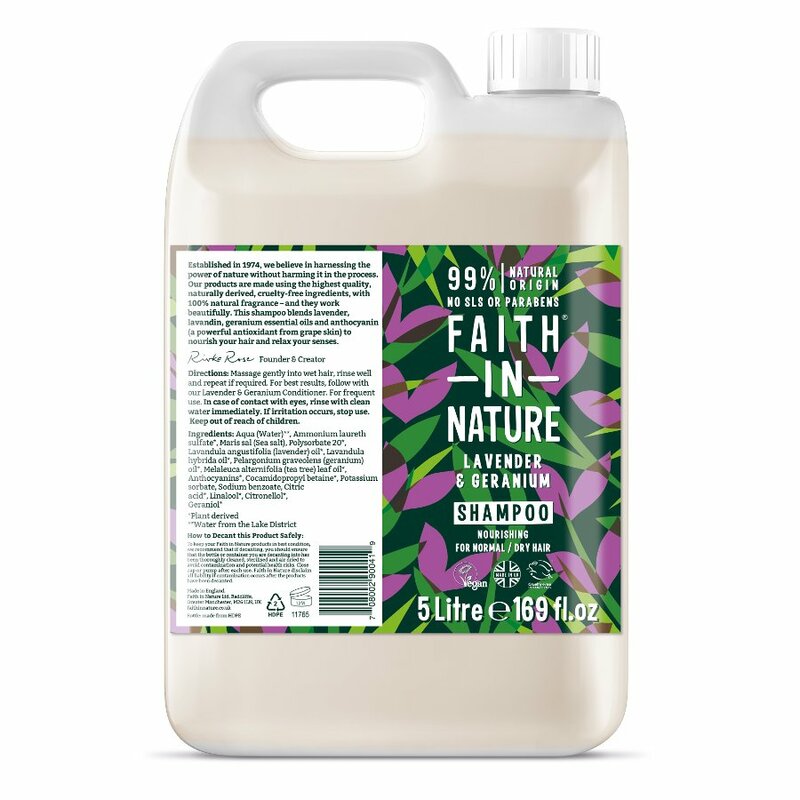 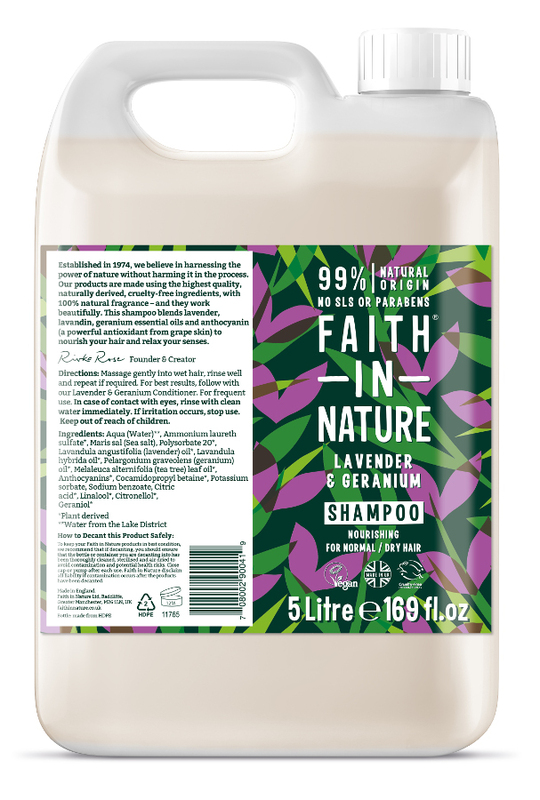 This delightfully scented Lavender and Geranium Shampoo from Faith In Nature is naturally antiseptic and restorative helping to balance sebum (oil) production from the scalp. 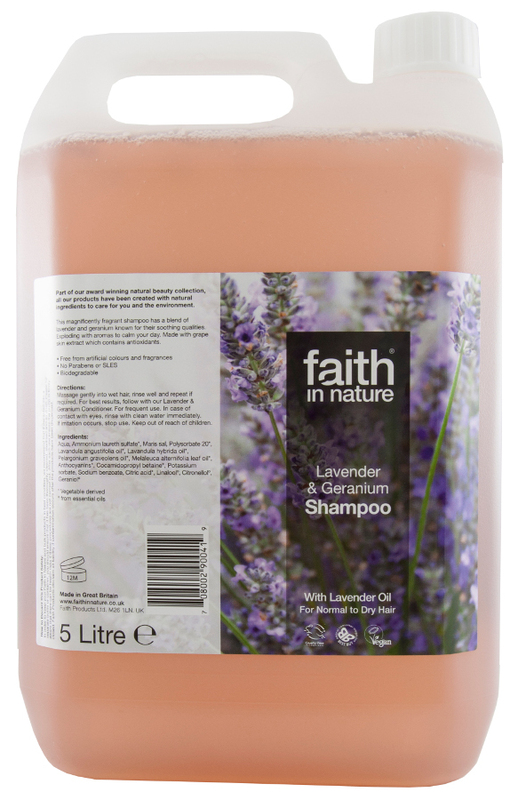 Lavender stimulates growth whilst geranium also aids in balancing sebum production and is recognised as a natural astringent. 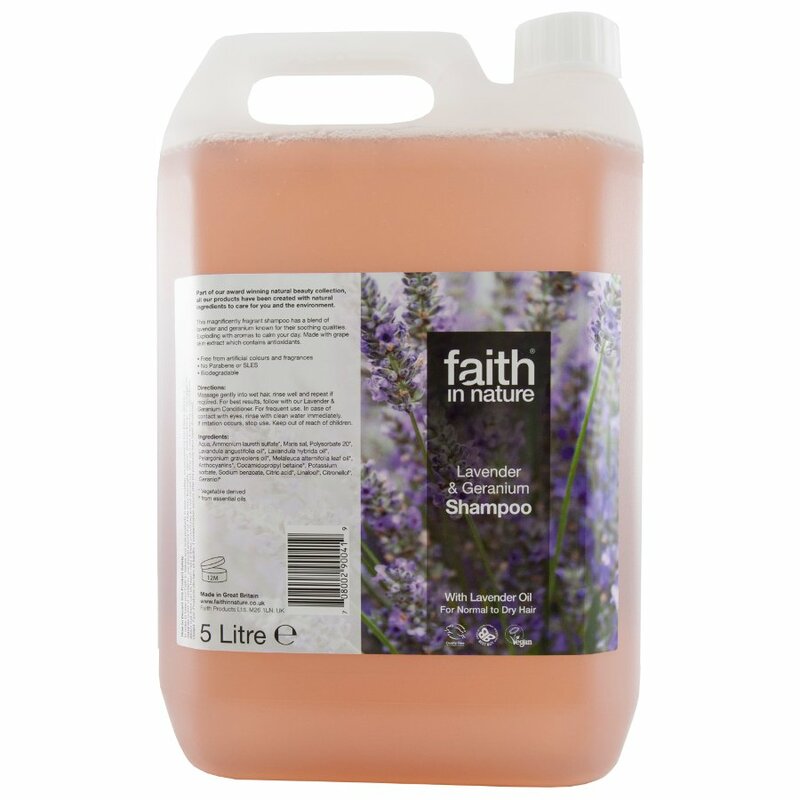 The subtle blend of their essential oils soothes both mind and mood as well and restores a feeling of well-being.